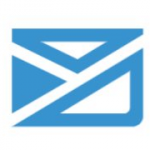 Campaigner is an email marketing platform that enables users to automate their email campaigns. Its features include lead nurturing, advanced workflows, segmentation, A/B testing, and more. In this article, we cover user reviews and popular pricing options. Ready to try Campaigner? Get a free trial. Users who gave Campaigner a positive review commended the software’s reporting and analytics. Excellent customer support was also cited. A user who left a positive review of Campaigner on Capterra said that the software provides a systemic way to reach all of her contacts as it can detect which emails are bouncing back. She added that the reports are useful for filtering people who have unsubscribed from the email list. Users who gave Campaigner a negative review find the software limiting in terms of social media sharing capabilities and email templates. Some of them also said that the interface design looks outdated. A user who left a negative review of Campaigner on G2 Crowd said that it doesn’t have the ability to export click and view rates from their campaigns. He also added that the process would be less tedious if the design was more intuitive. Campaigner offers a wide range of pricing plans depending on the number of contacts: Starter (starts at $19.95/month), Growth (starts at $79.95/month), Corporate (starts at $299.95/month), and Enterprise (custom). The main difference between the plans is access to premium features such as sales engineering, delivery support, purchase behavior, and single opt-in forms. Ready to try Campaigner? Get a free trial. Best Email Marketing Software: Which One is Right for Your Business? — Email marketing software is used to create and send targeted email campaigns to your customers. In this article, we compared our top email marketing software picks: Mailchimp, Campaigner, and AWeber based on price, ease of use, quality of customer support, and other important factors. Does Campaigner offer a dedicated account management? Yes. Campaigner offers fully-managed email marketing services that can assist users in various areas of the marketing process. These cover strategizing, delivery and conversion optimization, account migration, and more. What kind of reports can Campaigner generate? Campaigner can provide exact opens and clicks, bounces, overlay reports, campaign summary reports, subscriber health and growth, location-based reports, and more. Not sure if Campaigner is the right fit for you? Read our reviews of top email marketing software or check out one of these three Campaigner alternatives. Campaigner has awesome customer service. Every time I call, I get a customer service representative right away and they are very helpful. Also, I like the simplicity of Campaigner. It is not difficult to use unlike other email building platforms such as Salesforce’s Pardot, which is very cumbersome. I would have liked to know that Campaigner charges your account overages if you go over the amount of email addresses that you pay for each month. Their support and account management is accessible and typically quick. They also alerted us to issues in our account so we can rectify them before they became too costly. Preview emails, and the web interface is a little slower than other services we’ve used in the past. Their reporting is a little confusing, that experiments and regular campaigns are separate. Pricing went up dramatically when we went over our email quota. Campaigner helps us get our message out quickly; I use it weekly, at minimum, to reach thousands of people with a clear and concise message that was easily built and quickly sent out. Customer service is top-notch, quick, and helpful; program is user-friendly and priced competitively. The company makes it a little difficult to do support online – I don’t have time to wait on the phone, and can multi-task if I have a chat window open. But the chat wait time is a little long. 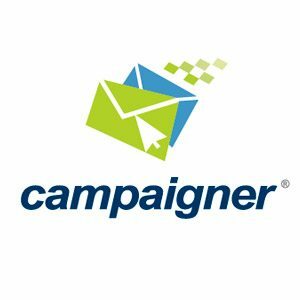 Campaigner has a lot of valid tools for email marketing. You can build fairly robust campaigns and use workflows to deliver them. Their site is not up to date. They are missing a lot of features that make using RSS feeds valuable. It is slow to load. You have to buy buckets of emails if you work out an enterprise deal. It feels like a lot of money is going down the drain when you have to purchase that way. How slow they are to load their platform. It’s not very innovative.